- corners paid win ratio 8:1, so if there is a any of the above numbers, win 8 chips and lose 6 chips, net win is 2 chips in each spin. - Number 32 is in the corners occupied by 2 chips, Can you guess the number 32, you get 10 extra bonus chips. - If you have enough capital, in case of loss use progression. But this should be at least eight times the value original chip. 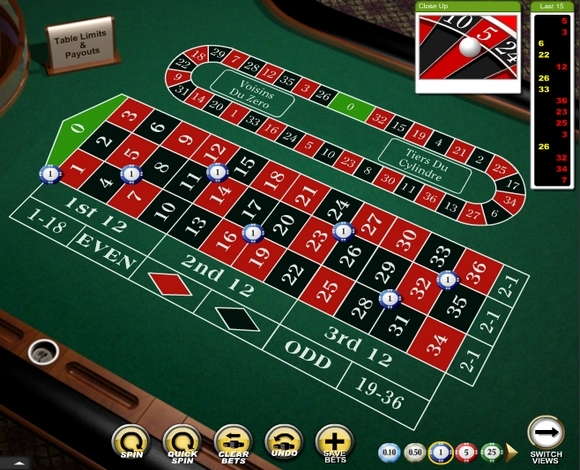 If you do not have such capital, then do not risk needlessly, Take 2-3 spins and quit the game or go to another system.